In a recent issue of the “Old Fort News” writer John Beatty describes in much interesting detail the impact that events from the Civil War era had upon the citizenry of Allen County and Fort Wayne. Of lesser importance historically, but perhaps yet worthy of note, is the recollection of a childhood incident from several years after the war’s end by German-language writer Hermann Zagel. Hermann was born in 1859 near Columbus, Indiana, but moved with his family in 1860 back to the Fort Wayne area where his father Andrew accepted a call to become pastor of Trinity Suburban Lutheran Church on Decatur Road (then called Piqua Road). Hermann had many fond and vivid memories from the days of his childhood and youth in Allen County, some of which found their way into print in a popular German language periodical of the time and in several of the six books that he authored. 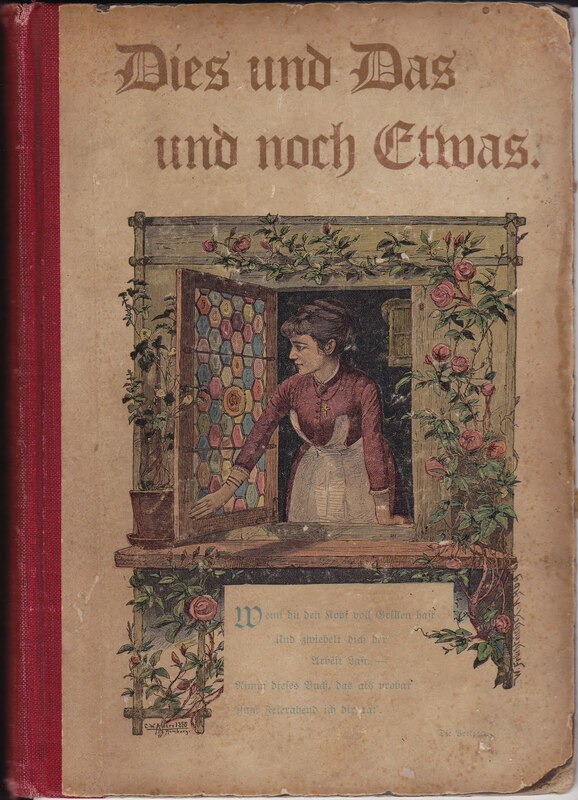 Hermann’s day job was that of a Lutheran parochial schoolteacher, but it was as a writer in German language that he gained his fame in the latter 1800s and early 1900s, his readership being centered in the many scattered German-American communities throughout our country. But he was gradually forgotten again in the years surrounding and following World War I as these ethnic pockets over time transitioned to the use of English. Hermann died in 1936 in Peoria, Illinois. The Civil War had ended several years before the occurrence of the incident translated below, but to the members of the Andrew Zagel Family on Piqua Road in Allen County, Indiana, some aspects of the conflict lingered fresh in their minds. The children, in particular, had seen for themselves how the military-aged sons of a neighboring family had fled to the woods and hid from the “drafters” while they were in the neighborhood looking for recruits for the Union Army. The word “draft” was quickly absorbed into the everyday German conversation of the Zagels, but not at all in a manner that one might expect. But let’s permit Hermann Zagel to tell the story, and I’ll attempt to do some justice, at least, to his tale in English translation. Bedtime at the Zagels was usually a long drawn-out process. We children never seemed at all sleepy. If our relationships prior to going to bed had been amicable, then that atmosphere continued in bed with much talking, gesticulating, giggling and laughing. But, if shortly beforehand, a quarrel had taken place, that hostility would be continued on in bed. In both cases it usually fell to our good and worthy mother, hard at work on our behalf with mending, sewing, or spinning, to call out with an insistent voice a request for peace and quiet. Who knows how often the admonitions were repeated until her thread of patience finally broke, and she proceeded to the next step -- “drafting.” Does the kind reader know what that is? Hardly so, for that is an expression which originated in the parsonage on Piqua Road and belonged uniquely to our family. Earlier in our childhood which had occurred during wartime, we children heard a lot about “drafting:” in German “Konskription von Soldaten.” We had been witnesses to the fact of how neighbor E’s grown sons were supposed to be called up for military duty and out of fear of the “drafters” had fled to the woods to escape -- in our manner of thinking “to escape punishment.” And so it came about that we accepted the word into our German vocabulary with the meaning of “corporal punishment” and in particular “bedtime punishment.” Our mother seemed to take a liking to the term and its new meaning, for she readily adopted it. Whenever things got a bit too loud in our beds and no amount of urging or admonishing produced any results, she would stand up and in a solemn voice declare, “Well, I see that I am going to have to “draft” you,” after which she would start rummaging around among the sticks behind the stove. That kind of “conscription” rarely failed in its purpose. One evening we were “drafted” in triplicate. Brother Hen and the writer of this account occupied the large bed. Underneath of it was a piece of furniture from those bygone days of old—almost forgotten today—that was also a bed, but lower and narrower than the large one. It moved on rollers and was pulled out in the evening for its intended use and the next morning, after having served its purpose, pushed back to its place underneath. In this bed at that time slept our two younger sisters Mellie and Hanna. When bedtime came we were in a very rosy mood. If we dived into bed on that evening, I no longer remember, but most likely so, but I do know that plump little Mellie had smuggled her doll with the sweet-sounding name Gootshie into the trundle bed with her. It didn’t take long until a fascinating game involving the doll was in progress. Until, with the last push, Gootshie’s porcelain head became visible above the footboard. Two pillows immediately whizzed through the air and struck poor Gootshie with such force on the head that her sight and hearing would have been obliterated, had she been in possession of such faculties. That was repeated directly again with glorious delight. In spite of mother’s emphatic demands from the spinning wheel for a cease to hostilities, Gootshie again and again attempted to visit, and always with the same reception until we were screaming with laughter. With that the patience at the spinning wheel came to an end. Mother jumped up and in the next moment from the box behind the stove reverberated the noise of the familiar rattle among the sticks. We used the moment to disappear with utmost haste under the covers. In vain! The feather tick flew up and a “drafting” began. So much so that our “conscription” was clearly visible in bold outlines on our bodies the next day yet. Along with us, plump little Mellie was thoroughly “drafted” too, for our mother allowed no lack of justice in her discipline. Five minutes later a deep stillness prevailed in the large room, such a stillness that one could clearly hear the squeaking of the mice in the walls. Gootshie never again made any attempt to visit us ill-mannered rapscallions. The participants in the above “tragedy” include the narrator Hermann, born in 1859, his brother Hen (Heinrich), born 1854, his sister Mellie (Amelia), born 1861 and Mellie’s porcelain- headed doll Guschtel, translated here as Gootshie. Another sister Johanna (Hanna), born 1868, is mentioned but was too young at the time to take part in the “action.” Mother Zagel, Anna, was born Fruechtenicht in 1830 and was the wife of Pastor Andrew (Andreas) Zagel whom she married in Allen County in 1849. The source for the anecdote is a book by Hermann Zagel entitled “Dies und Das und noch Etwas” (This and That and Something Else), published 1908 by Louis Lange Publishing Company, St. Louis, Missouri, pages 86, 87, 88. History Center member Roger Franke, in his own words: "I am an Allen County native, well almost, born in a hospital in Decatur in 1940, but grew up since babyhood on my parent's farm near Hoagland. I became a high school German teacher and taught many years at Westview High School in LaGrange County. Both my wife Patricia and I are retired from teaching and have lived near Wolcottville since 1967. We have three grown and married children with families of their own. I have an avid interest in family history and local German-American life in the 1800s and early 1900s."